MOSCOW (AP) Russian President Vladimir Putin held a meeting with FIFA president Gianni Infantino on Monday to discuss World Cup preparations. 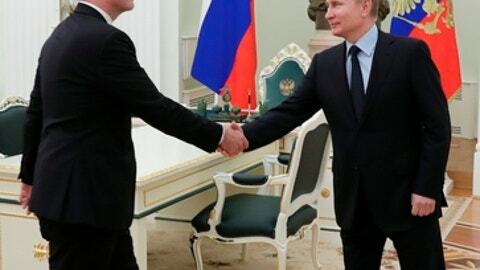 Putin had been scheduled to host Infantino at his residence in the Black Sea resort of Sochi but he stayed in the capital following Sunday’s plane crash near Moscow which killed all 71 people on board. Russian news agencies said Infantino offered his condolences to Putin over the plane crash.